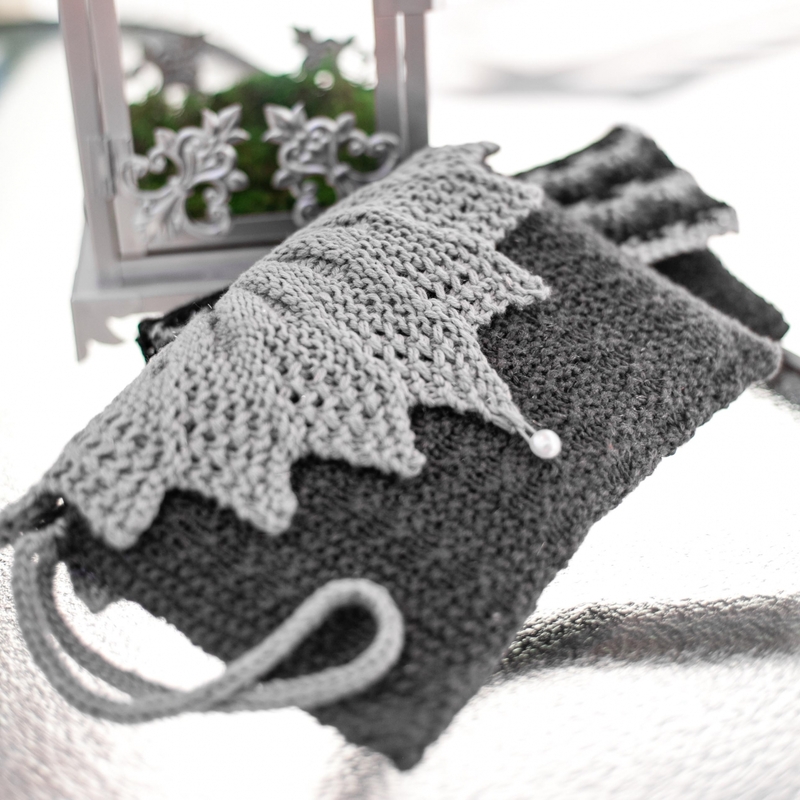 -1 PDF Loom Knitting Pattern only. This is not a finished item. 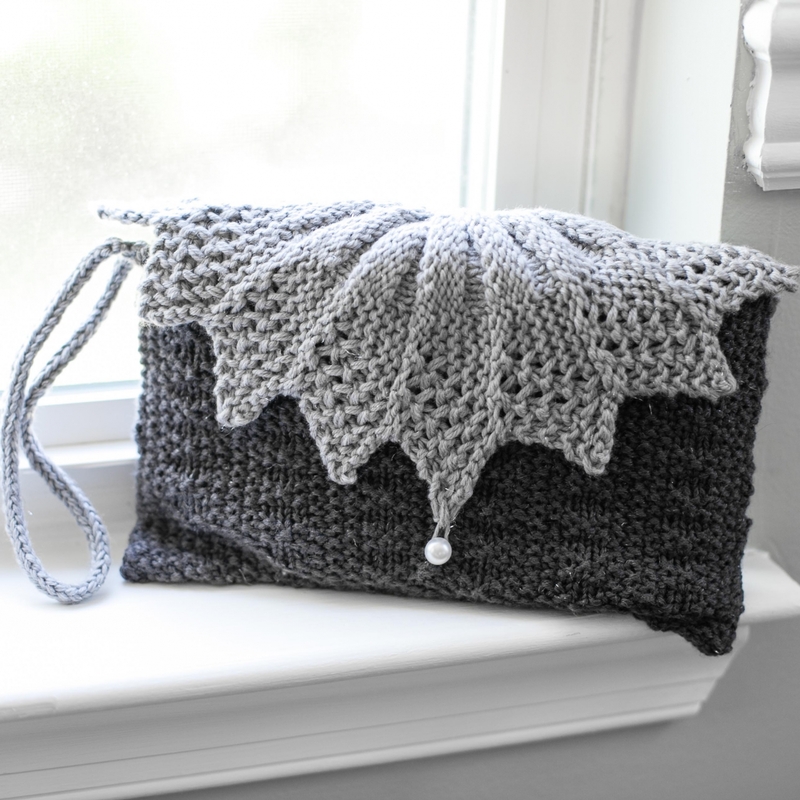 *Shimmering Points Evening Bag Pattern: A lovely loom knit evening bag/clutch pattern. 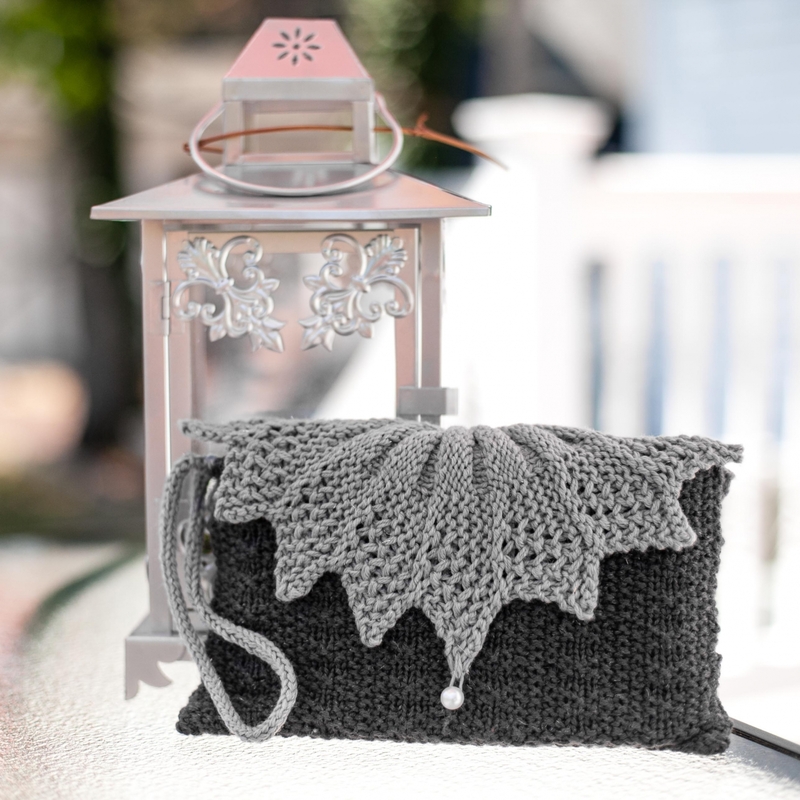 The top of this bag is loom knit in sawtooth lace giving it elegant style. This is the perfect bag for any dressy occasion and would make a perfect gift for a special woman in your life. 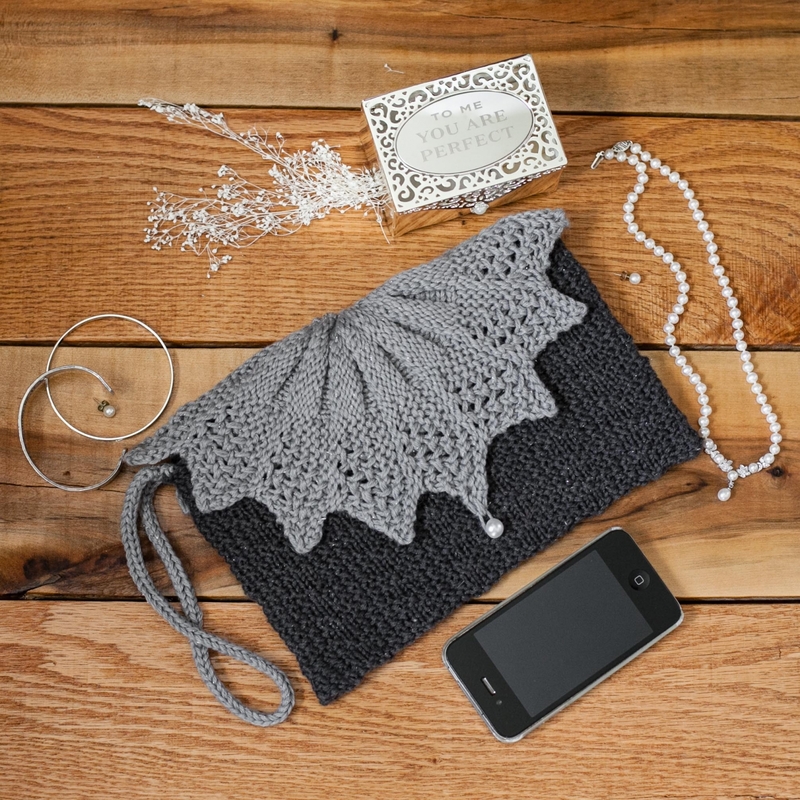 It is a roomy clutch large enough to hold all your essentials. Level: This pattern is suitable for the Intermediate and above loom knitter who understands lace knitting, provisional cast on, kitchener stitch and short rows. ALL sales are FINAL and NON-REFUNDABLE once downloaded. Please read pattern description before purchasing.